Art in any of its numerous forms is actually inspired by thoughts, cultures, and environments which shape the artist. Design and graphics design common within millennials is no different from its classic version. Designers use various inspirations to create their graphics masterpieces. These inspirations differ when taking into account the diverse tastes, requirements, and utility of a particular language, region, ethnicity or trade system. This leads us to the fact that as Arabic is taking its place as the second most used language online, design inspirations in Arabic website design differ from its contemporary counterpart. Let’s analyze some ways in which Arabic website design stands unique. As a language of natural origins, Arabic is greatly inspired by nature. Same with its designing, most middle eastern art and architecture will showcase floral, earthy, and rustic design combinations. Arabic website design companies in Dubai strive to serve the same to create web portals for middle eastern entrepreneurs. They provide a mixture of technological utility with the natural design while sticking to the Arabic basics and roots to serve their clients the best. As the language of the Quran and hadith, Arabic can never deviate far from its Islamic origins. That is why the use of Islamic geometry, symmetry, and aesthetics is kept in mind while creating Arabic logo designs and website designs. Arabic website design companies in the UAE also incorporate Arabic calligraphy in logo designs to give their clients the best version of their own language with a graphic, futuristic touch. 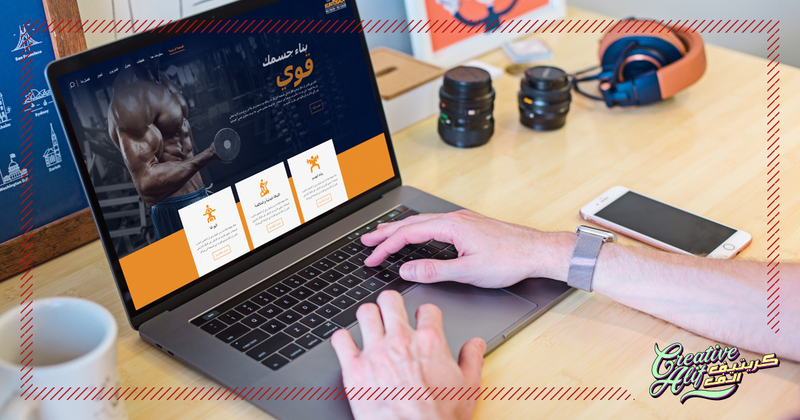 To enhance middle eastern businesses to stretch their limits, Arabic website designers make it a point to create versions of their web portals in both Arabic and English. In this way, users from all around the world, and natives to the language, both will be able to receive the best user experience through these websites. To witness this diverse blend, have a look at logo design portfolios of Arabic web design companies.